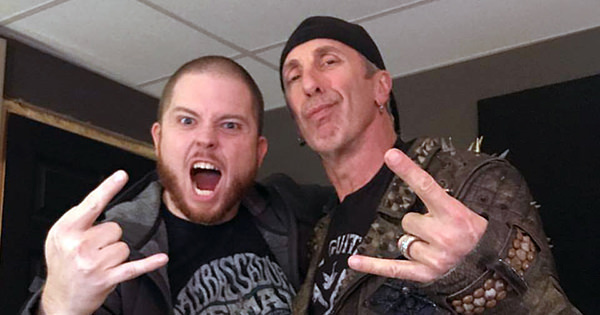 Hatebreed frontman Jamey Jasta has offered up some details regarding his forthcoming collaborative album wtih Twisted Sister vocalist Dee Snider. The partnership first came to life after Jasta pitched the idea to Snider during one of Jasta's podcast episodes. According to Jasta, the release will be a "full on metal album" and features co-writing from Nick Bellmore (Toxic Holocaust, Kingdom of Sorrow) and Charlie Bellmore (Kingdom of Sorrow) in addition to Joel Grind of Toxic Holocaust. Moreoever, "iff and lyric ideas" were contributed by Howard Jones (Light the Torch, ex-Killswitch Engage) and Lamb of God guitarist Mark Morton. Jasta says the album "will be very heavy" with songs that "are anthemic." Speaking on Snider's vocals, Jasta offered this: "Dee is one of the best vocalists of our time. His voice is up there with Ozzy, Dio, Dickinson and Halford to me, and it's as powerful as ever!" Vocal tracking resumed this past weekend at Dexters Lab Recording in Milford, CT and you can hear a clip below.